Since the founding of General Engineering Company in 1912, we continue to be dedicated to the best interests of our clients and serving their needs. Over the years, technology and services have changed, but the overall principles and values by which we operate help us achieve excellence in our professional endeavors has not. 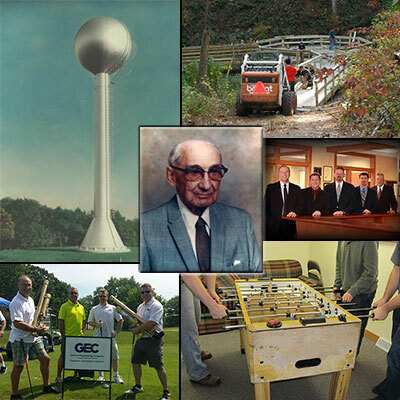 Step back in time and see where GEC began and what we have accomplished throughout our 100+ years of History. At General Engineering Company, we pride ourselves on our professionalism and high-quality Leadership. Meet the men and women that make up our management team. Would you like to join the GEC team? Review all of our Career opportunities and see how you can apply. General Engineering Company gives back to the many communities in which we live and work. See how on our Community Involvement helps those in need. When you join the GEC team, you become part of a large family. Check out all our GEC Events to see what we do in our free time and the fun activities we plan for our staff and their families.